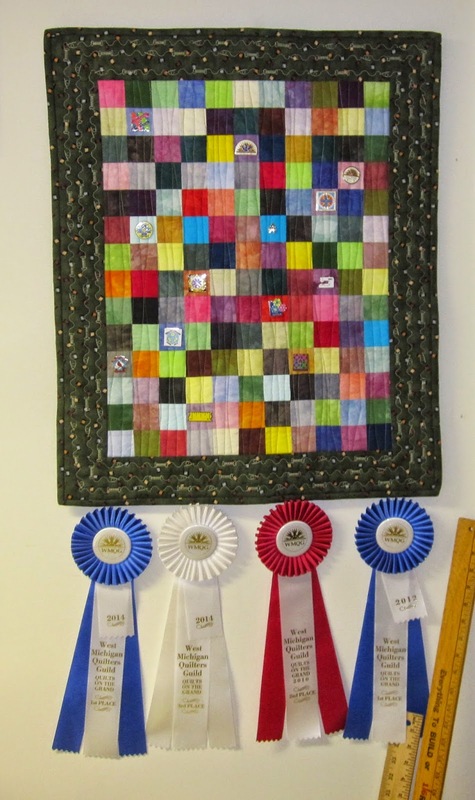 I finally hung my two new ribbons from the quilt show on my pin quilt. I love my pin quilt. Its one of my favorite things hanging in my sewing area. Look at all those pretty ribbons!